GWR oak cased Pork Pie type wall clock with French going barrel movement stamped MADE IN FRANCE. 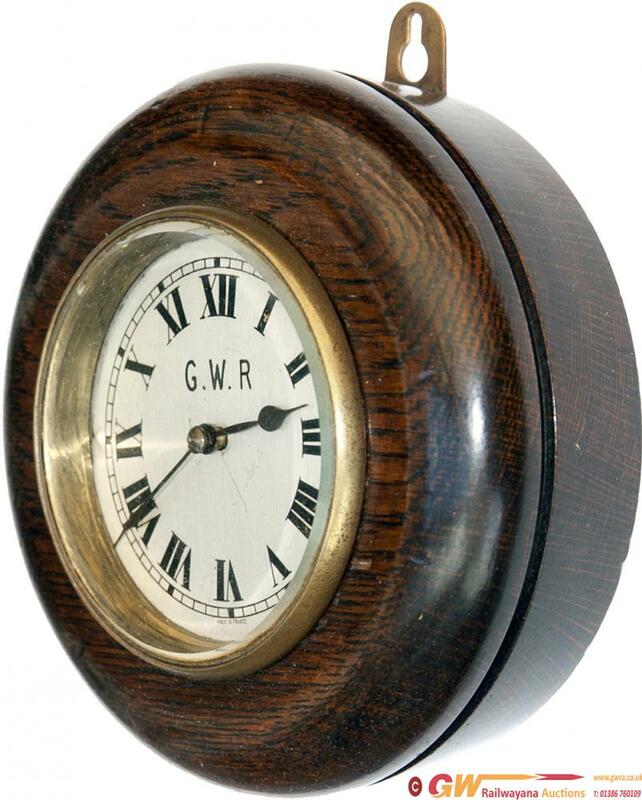 The rear case cover is stamped with the GWR clock number 0.196 and the silvered dial is engraved GWR and wax filled. This is the first example we have seen with a silvered dial as they are normally porcelain. A rare clock in full working condition, measures 6.5in diameter overall.